What promises to be a fascinating visit for 2nd week will be on Wednesday 6th May to the Coppenhagen Collection (yes, the spelling is right!) in the Leopold Muller Memorial Library where our hosts will be Dr César Merchán-Hamann and Milena Zeidler. The Coppenhagen Collection, formed by three generations of the Coppenhagen family collectors beginning in the mid-19th century, contains an outstanding selection of seventeenth-century Hebrew and Jewish books printed in the Netherlands, in places such as Amsterdam, Leiden, Utrecht and Franeker. There are a large number of Hebrew Bibles (most of the Amsterdam prints are there), Hebrew grammars and dictionaries by Christian Hebraists and Jews (such as Johannes Buxtorf, Johannes Drusius, Johannes Leusden and Elijah Levita), works by Christian Hebraists on Jewish religion and ethnography, many of the works of Menasseh ben Israel and virtually all the publications from his printing house. The collection also contains many rare items printed in the Netherlands during the German occupation, as well as ephemera produced by numerous small Dutch-Jewish communities which no longer exist. 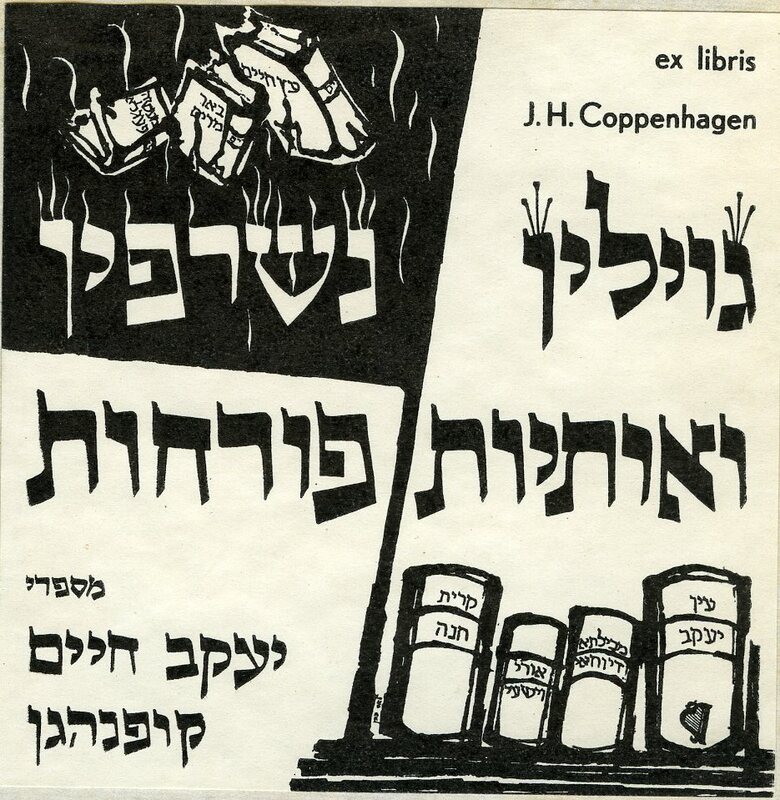 The Coppenhagen Collection survived the Holocaust. Scattered and in hiding in the homes of non-Jews and basements of old public buildings, a large part of it was saved, with the help of the Dutch resistance. After the war, many items which had fallen into the hands of the Nazis were recovered. The Collection offers an intimate panorama of Jewish life in the Netherlands for over three and a half centuries. This entry was posted in Uncategorized on 1 May 2015 by zeidlerm.